Colin Green Photography: BMW Z3 and Z4. 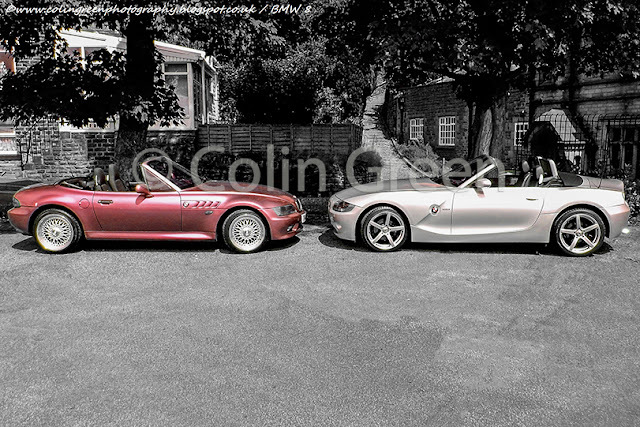 The Z3 and Z4 are a range of convertible and coupe roadster sports cars built by BMW. 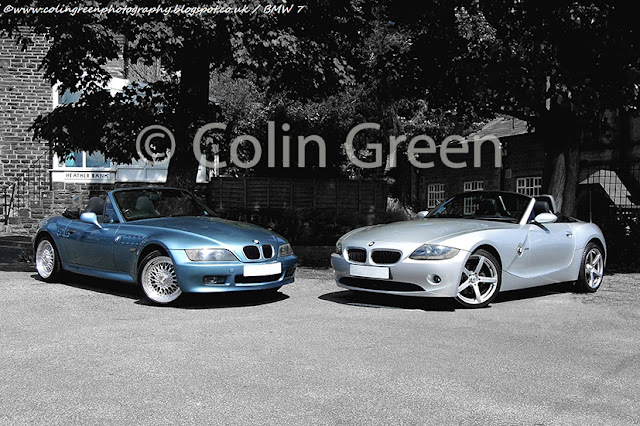 The Z3 was first produced by BMW in September 1995 and was the first car ever solely manufactured outside of Germany, having been built in Greer, South Carolina, USA. Production was ended in June 2002. These pictures were taken for a friend who had just bought the Z4 as a replacement for his Z3. They were taken on the 4th July 2015 using a Polaroid iS2132 Bridge Camera. They were 6 picture originally taken but these have increased with edits I have made since taking them. There are 7 exclusive to Clickasnap pictures which can be viewed by clickking here. The link opens in another window. By simply viewing any picture on Clickasnap you help support the photographer as they will receive a small contributors fee from them. The pictures will also be available shortly as a download for a £1. Use the arrows to navigate there are 9 pictures to view. The following 2 pictures can also be seen on Clickasnap and Flickr without watermarks and full size.